A piece a week – Liberty of London dress finally ready for summer! This last week of school has been so busy with lots of gatherings and farewells to school and friends for the summer! It has been such a wonderful year at school with our amazing teachers for both the kiddos. But boy did the year fly past – I cannot believe that I will have my oldest in 4th grade in a couple of months!! The last day of school I enjoyed the morning with an exercise class and I had to run an errand for one of the teachers. 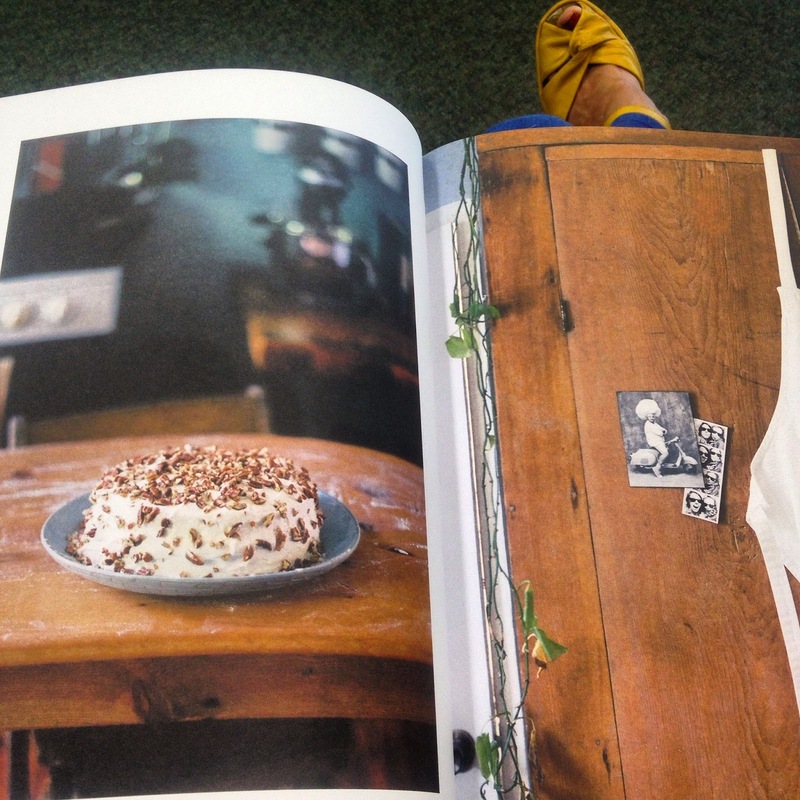 So while I was waiting there was downtime and peace at the library where I came across a wonderful book called ‘The Kinfolk Table‘. It was so random as I was initially attracted to the name and then the content was oh so inspiring with the emphasis on amazing food and eating casual dinners with friends. Love, love, love! I found this hummingbird cake recipe that I am looking forward to trying and many other recipes that do not have meat, so yay!! Oh and the added bonus is that the recipe collection is from the Portland based magazine Kinfolk, oh my, I am just so happy when the universe drops these treasures into my life. In amongst the farewells to school on Friday I had to say farewell to my beautiful neighbor who is moving up to Seattle! We have had some good times together in the short time we have lived in this ‘hood and it is so bittersweet to say goodbye to such wonderful friends. Still the positive is that we are going to visit Seattle real soon, so yippee! 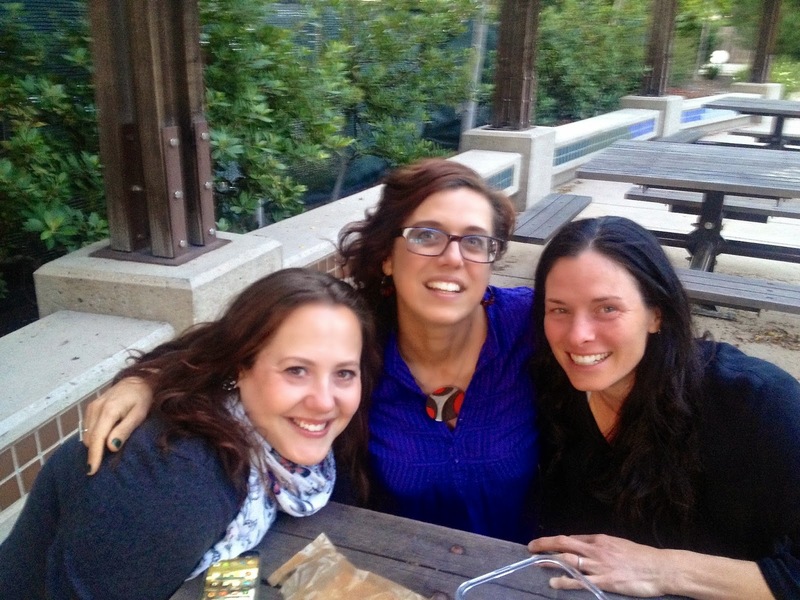 Hanging with the lovely ladies – my neighbors! So that was the end of school and the fun of the vacation begins. I caught up with some gardening on Saturday and Sunday we hit the San Mateo County Fair as Groupon had a super sweet deal. We had been to the Event Center for the Maker Faire so it was interesting to see it in a new light complete with animals, performances and dodgy carnival food. 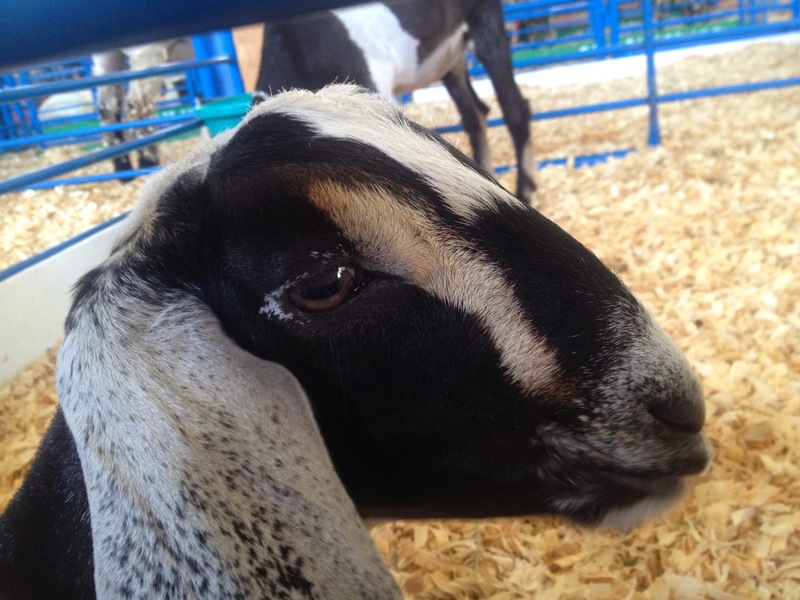 The kids wanted to check out the animals first… Of course my favorite were there – the goats, oh so cute! The bunnies were loved by Missy and Mr Ash loved the chooks – wanting to bring a chicken home to live in the garden. I had to remind him that we have two cats who may or may not be too keen on living with a chicken!! From the animals we checked out the culinary arts, plants and flowers which all were very impressive – indoors and away from the heat. It was 35 degrees on Sunday I must add, which was not so good for the hula dancers on a black top stage – they had to perform on the grass as it was way too hot for bare feet. After the hula dancers we headed over to another hall to see the rainforest with snakes, sloths and the most cutest hedgehogs. 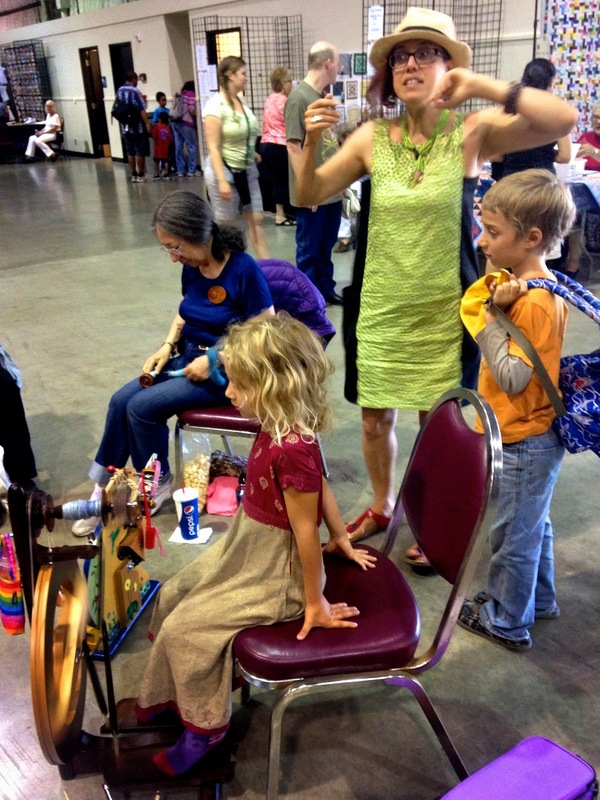 This was the hall I wanted to spend the most time with the quilts and home arts, obviously!! Unfortunately my son was getting a bit antsy about it all and wanted to go an play a dodgy carnival game which taught him a lesson in being ‘ripped off’. It was a fishing game and you can win a large or small prize – I wondered if anyone really did win any large prizes! All in all a fun experience at the fair and a great day out with the kiddos. Oh and in these pictures the Liberty of London dress fabric, a bit crushed by the heat – perfect for the day complete with pockets!